I've been really enjoying my new Nikon camera but, I do have to say that who ever thought of a padded camera strap cover was really thinking. I love my camera but, wearing it around my neck for awhile really does irritate and hurt it. 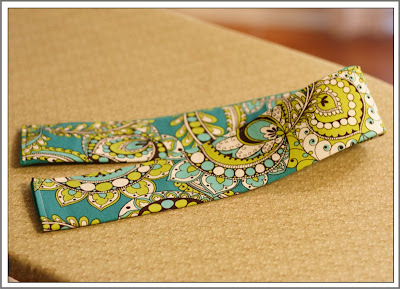 I'm a bit of a novice to the sewing world but, in my time I've sewn some simple skirts and curtains and I thought I'd search a bit to find a good tutorial on how to make a padded camera strap. I found this one at Priddy Creations and the way she shows how to make it looks pretty easy peasy.